Gary's passion has always been attached to making the body stronger. Inadvertently he discovered the body and mind are not separate. Through 30 years of competitive sport and strength training, he has developed an instinctive, grounded and simple approach to helping others obtain and maintaining a level of fitness and wellness that is realistic and healthy. 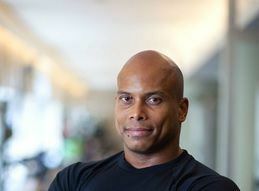 Gary has competed competitively in track and field, amateur bodybuilding, powerlifting and amateur Muay Thai Boxing. Constructing instructional programs; Leading various recreational activities; Monitoring and communicating client progress; Demonstrating each physical activity; Understanding of motivation, counseling, and teaching in the health and fitness fields; Develop training programs and choose exercises that provide the optimum results and take into account the activities clients; Act as motivator who pushes clients to their physical limits; Provide encouragement and support for the client and recognize the client's strengths and weaknesses; Experience in applying and teaching clients specific nutritional practices; Able to provide clients with information and resources in regards to nutrition, weight control and other lifestyle issues. Register of Exercise Professionals (United Kingdom) -Since 2005 American Council of Exercise (ACE) Since 1998; Muay Thai Boxing coach at the world-renowned Renzo Gracie Jiu-Jitsu/MMA Academy NYC. Ten years of commended performance in assessment and program design. Training of Executive Management and Directors Implementing new and innovative protocols, including Kettlebell, strongman training and metabolic circuit training. Expert in Sport Specific Training Programs and Development of training and support programs for the advanced athlete Advanced understanding of Anatomy and Kinesiology. World Kick Boxing Association Championships 2002 (189lb Class) "2nd Place"